How Long Should Employers Keep Employee Records in the US? Good record-keeping is essential for your business. Keeping records is not only wise, but you may be required by law to have employee documents on hand. Because the length of time you need these records is often governed by law, deciding how long to keep them is often a matter of legal compliance. When you expand to a new market, it’s a good idea to check that your company’s record-keeping policies are in line with the local law. How long should employers keep employee records in the US? 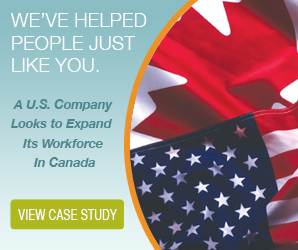 It’s one of the most common questions for employers entering the American market. The answer depends, somewhat, on which records you’re talking about. How Long Should Employers Keep Employee Records? The easy answer to this question is you should keep employee records for as long as the law states. 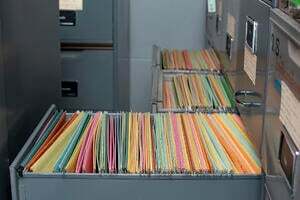 Some employers may opt to store employee records longer than the law-stated minimum. Make sure you’re not violating any laws by doing so. New data laws, similar to the General Data Protection Regulation in the EU, could affect the maximum length of time you can keep records. Other employers want to get rid of records as soon as possible. If you keep paper files, these could be cluttering up the office. Even digital files take up storage space on your hard drives. What do US laws say specifically about keeping employee records? For payroll, the minimum length of time is three years. This includes employees who have terminated their employment with you. Hiring records must be kept for at least a year after you’ve made an offer of employment. If you conduct drug testing during the hiring process or at any other point during employment, you’ll need to maintain records of the test for at least one year. How long should employers keep employee records of other events, such as benefits or requests for leave? You’ll have to hang on to records of benefits and pension plans for twice as long as payroll records. The minimum length of time you need to keep these on file is six years. If an employee makes a request under the Family Medical Leave Act (FMLA), you have to keep the records for three years. You must keep the paper trail even when you deny the request. Always carefully document leaves that are used intermittently. Form I-9 should be kept for three years after you hire an employee, or up to one year after they terminate their employment with you. Try to keep this form separate from your personnel files. Under the Fair Labor Standards Act, you’ll also need to keep collective bargaining agreements and performance appraisals. These must be maintained for two years after an employee resigns. Most record-keeping laws are federal, but individual states can also apply their own regulations. For example, in Texas, you may need to keep wage and tax information records for up to four years. You’ll want to review your record-keeping obligations under state law. Other laws may affect record-keeping as well. For example, the US Equal Employment Opportunity Commission (EEOC) requires employers to keep all employment records for at least one year after the employee resigns. If you’re following the rules about payroll and FMLA records, you should be complying with this requirement. You may want to double-check the list of records the EEOC says you need to keep on hand. Another great example is drug testing. Some drug tests will fall under the usual rules for maintaining personnel records. If the job is related to transportation, however, you need to keep these records for five years to comply with the Department of Transportation’s regulations. As you can see, there’s no single answer to the question, “How long should employers keep employee records?” It depends on the record, the law, and many other factors. If you’re unsure, you can always ask for help from a professional employer organization (PEO).